CRL and the Linda Hall Library of Science, Engineering and Technology (LHL) have digitized several automotive serials in the second round of strategic digitization of serials jointly held by the two organizations. First announced in 2016, the CRL/LHL Global Resources Partnership in Science, Technology and Engineering targets historical, pre-1950s serial titles identified as being of high value for historical research. The project combines partial runs of titles held by the two organizations, prioritized by subject (as informed by strengths declared in the partnership Collection Management Policies), and clustered around specific themes or subjects. In 2016 CRL and LInda Hall digitized 15 historical titles in Civil Engineering, Mechanical Engineering, Aeronautics, and Railroads. Titles selected for the second round of digitization included early 20th century U.S. and U.K. automobile industry trade journals. Topics include automotive engineering and design, auto sales statistics and trends, development of routes for automotive travel, the world market for rubber and other critical component commodities, and auto events and racing. 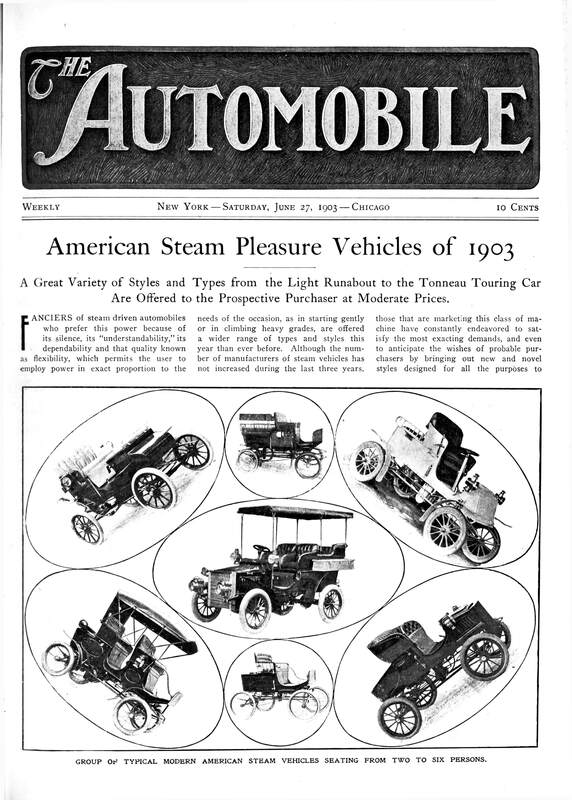 The Automobile (1903-1913): a weekly journal published in New York and Chicago. Automobile Topics (Nov 18, 1922-Jun/Jul 1948): a weekly and monthly journal, publisher at various time in New York and Detroit. Automobile Engineer (1923-1950): a monthly journal, published in London.